A friend sent me a link to a speech by Sir Ken Robinson. His message resonates with me because Sir Ken says we are educating children out of their creative capacities. Standardized tests are killing creativity, but at the current speed of change in our society, creativity is not only essential but necessary to our survival. I can relate. I was discouraged from pursuing an art degree at college because people said, “There are no jobs for artists,” or “Artists don’t make money. You have to make money!” Now, without any formal art education, I make a living as a writer and artist. I consider myself to be a creative person despite the fact that standardized tests told me otherwise. When I entered the 9th grade I was given a test that would specifically measure my creativity. IF I passed the test, I would be enrolled in a “Gifted and Talented” course. I failed. My test results clearly indicated that I was NOT creative enough to be considered talented. I was not allowed in the gifted class my 9th, 10th, or 11th grade years, but my senior year I was finally enrolled, not because I passed the test, but because with no creativity and an average IQ, I consistently out-performed the “gifted and talented” students. My teachers were puzzled. How did I do it? The answer was simple. I didn’t believe the test results. I believed that with hard work and perseverance I could accomplish anything, and I graduated valedictorian and obtained a four-year scholarship to the University of Arkansas. The way you interact with other people matters. The effect your actions have on other people matters. Your ability to inspire, support and uplift other people matters. I travel and speak to children across the country because I’m looking for kids like me. As a child I was told I wasn’t good enough or smart enough or creative enough. Thankfully, I didn’t believe those people, but sadly, some children are still discouraged by the system. 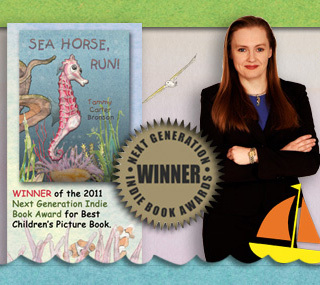 I tell those kids, “Believe in yourself.” My first picture book, TINY SNAIL, sends that message. Look inside yourself, find your strengths, and nurture them. Believe in yourself, and with enough hard work and perseverance, you will succeed–especially if you use your gifts to help others along the way. The award-winning TEDTalks video site. The Open Translation Project and TED Conversations. The inspiring TED Fellows and TEDx programs. “The annual TED conferences, in Long Beach/Palm Springs and Edinburgh, bring together the world’s most fascinating thinkers and doers, who are challenged to give the talk of their lives (in 18 minutes or less).” About TED. “The goal of the foundation is to foster the spread of great ideas. It aims to provide a platform for the world’s smartest thinkers, greatest visionaries and most-inspiring teachers, so that millions of people can gain a better understanding of the biggest issues faced by the world, and a desire to help create a better future. Core to this goal is a belief that there is no greater force for changing the world than a powerful idea.” From http://www.ted.com/pages/42.